Heeft u een vraag voor Iroom Hotel? Gelegen in Centrum is Iroom Hotel de perfecte keuze voor reizigers die Surat Thani en omgeving willen bekijken. Op slechts 27.1 km afstand, kan dit 2.5-sterren hotel eenvoudig worden bereikt vanaf het vliegveld. Bezoekers van het hotel vermaken zich met de volgende topattracties die in deze stad te vinden zijn: Taksin Hospital, Koh Lamphu Openbaar Park, Vibhavadi-Rangsit Golfbaan. Het Iroom Hotel biedt tevens vele faciliteiten om uw verblijf in Surat Thani zo aangenaam mogelijk te maken. De topfaciliteiten van het hotel omvatten 24-uur roomservice, wi-fi in openbare ruimtes, parkeerservice, parkeerplaats, roomservice. Het Iroom Hotel beschikt over 19 kamers, allemaal smaakvol ingericht voor optimaal comfort, met voorzieningen als plasma tv, internet (draadloos), draadloos internet (gratis), airconditioning, bureau. De recreatieve faciliteiten van het hotel, inclusief massage, tuin, zijn ontworpen voor maximale ontspanning en onthaasting. 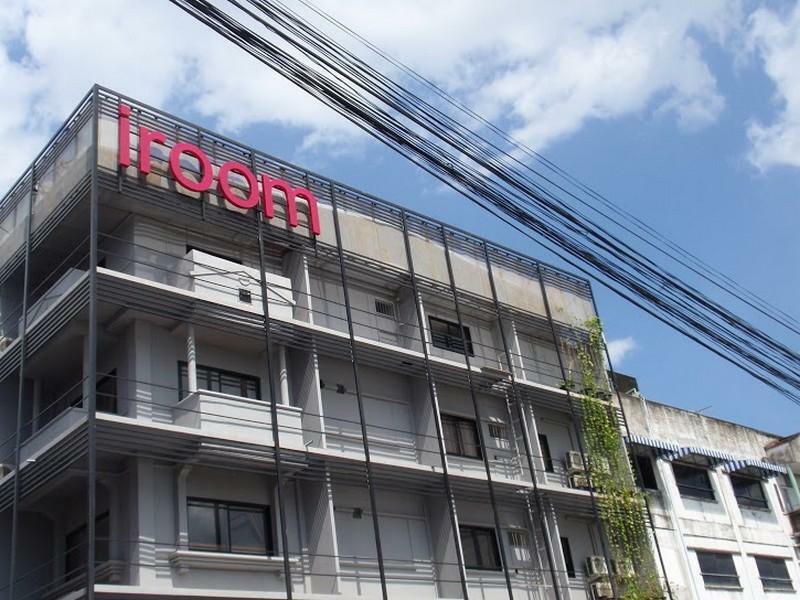 Het Iroom Hotel is een ideale verblijfsplaats voor reizigers die charme, comfort en gemak zoeken in Surat Thani. 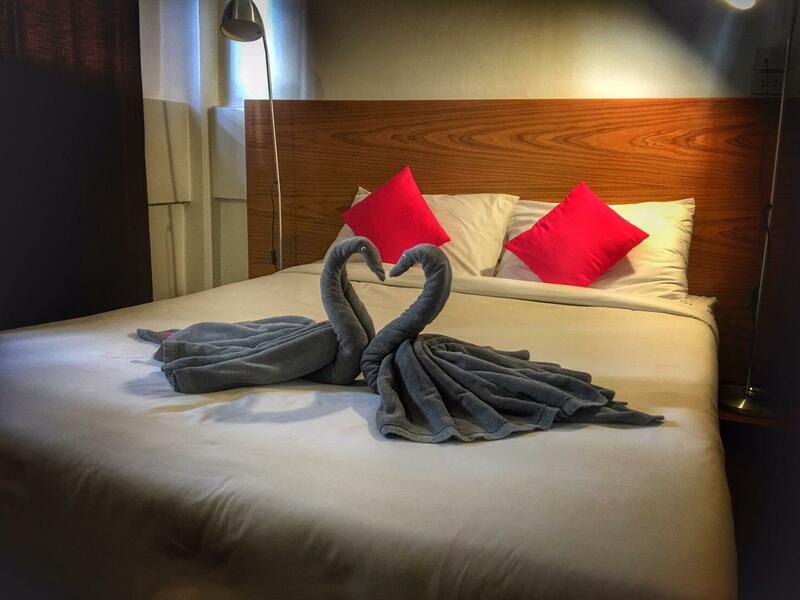 Iroom hotel is location five minutes away from the main road, near to bus station and town. Located around the hotel is eateries, convenience store, bus station. Hotel amenities are simple, with complimentary mineral water. However coffee and tea are not complimentary. Staff is friendly but speaks minimal English. Wifi connection is stable and usable. Nice room, ok price, good location. Initially had trouble locating it cos it was located fairly deep down the soi (past the bus terminal) and the front entrance is actually facing the adjacent soi (Nokkow Alley). Otherwise the room was nice, everything worked well, staff was nice, and it's just a short walk to the night market. Recommended. My wife and I have been travelling around Thailand for 2 months, and this is by far the worst place we stayed. The walls are all cracked from water damage with water leaking from the bathroom ceiling, making the bathroom wet all the time and providing a musty smell for our entire stay. Furthermore, one of the windows was permenately held open, so it was impossible to keep cool. The linens were very dirty and should have been thrown away. The staff ignored us through pass-and-go, and had a small party in their lobby that was loud, and smelly from cigarettes. My wife and I scheduled two nights, but left after the first. Do NOT stay here. We live in Thailand and speak thai but everywhere we went here people tried to scam us, that's why Suratthani's name is famous in Thailand for being "the city of scammers". This is a nice hotel just for an overnight stay there if you have to. Big, clean and modern rooms. Close to the night market. Close to public transport and mini busses. Felt like a small appartment: we had the biggest room which had a sofa. 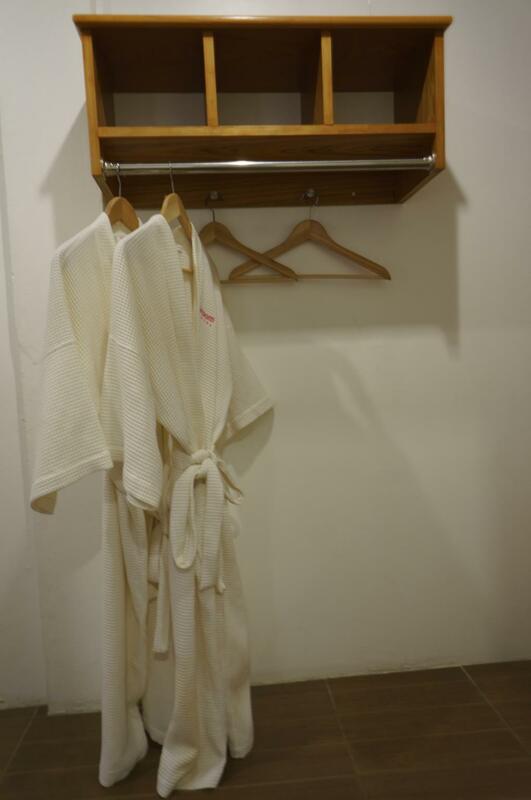 There's also a desk and fridge, plenty of towels and even a bathrobe. Clean and modern bathroom. Close to the night market and public transportation and mini busses. Great value for money! This hotel is located close to the bus terminal to many destinations to southern provinces and the shuttle bus to and from airport also starting here. The new building is great. Bed is comfortable, toilet is clean, social area is spacious and all facilities are rather new. Very hard to find and secluded. air con was hot and took approximate 40mins to cool up the room. Wifi is weak, Bathroom is extremely dark, signs of leakage on the ceiling wall possibly the management doesnt do much maintenance on the hotel itself. I stayed here for one night; but the arrival made the experience a bad one (compared to the other hotels I stayed at throughout Thailand). Once my taxi pulled up, one of the receptionists (short and darker coloured compared to the other one that was present)got out the same time I stepped out the taxi. Once she seen me, she was signalling that there were no rooms available, despite me booking and paid for a room via Agoda (obviously), and she was talking in Thai to the taxi driver saying try at a different hotel. Once the taxi guy translated what she was saying (even though her actions made her words very clear) I said I will talk to her to explain. She then asked if I booked via Agoda and once I confirmed it she then let me inside. I had to take a seat, then two (fellow British travellers arrived), got seen to straight away, paid cash, and made their way to the room. Once I got into my room, I noticed there was a menu, after going downstairs to order something, they said there was no food available (i.e. there is no hotel restaurant present) and told me to go to the market. With that being said, the two receptionists the following day were very friendly and the hotel is very clean. 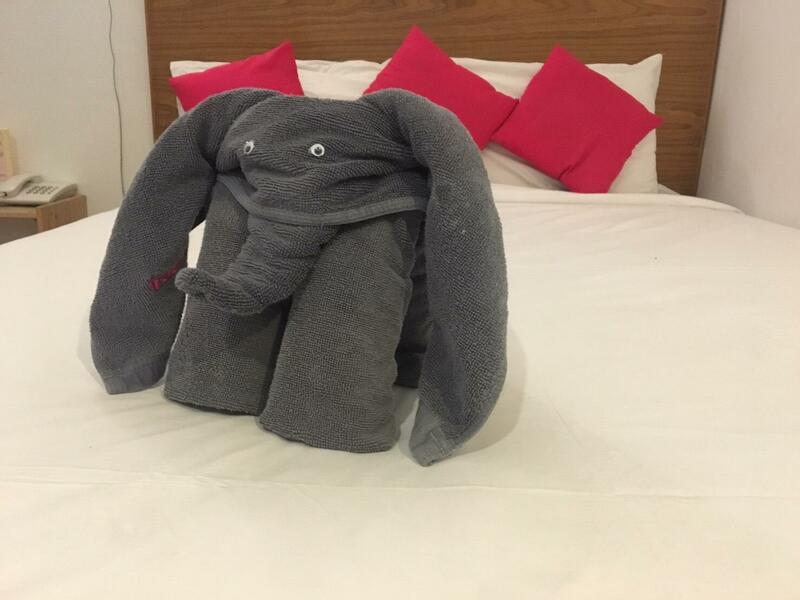 the bed is hard not comfortable and the reception girl english is no good. but one best thing when we arrive has somebody to carry our beg to the room because no lift. everything here is the best.